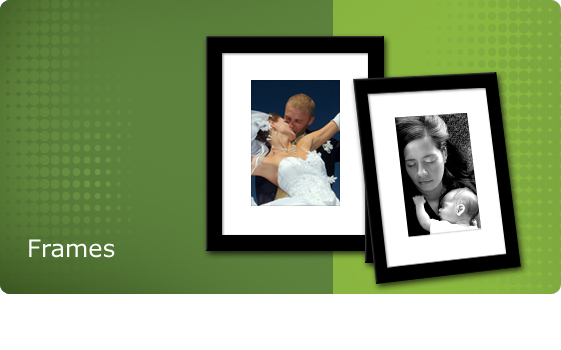 Frames present consumers with an amazing finished product thats ready to hang or display instantly. A solid black frame features a 1″ molding, velvet back and glass face with an elegant white matt. The 8″x10″ frame comes with a 5″x7″ print while the 11″x14″ frame comes with an 8″x10″ print. The frames feature a two-way easel for vertical or horizontal table-top display and can also be wall mounted. This entry was posted on Monday, November 2nd, 2009 at 12:38 pm	and is filed under Blog. You can follow any responses to this entry through the RSS 2.0 feed. You can leave a response, or trackback from your own site.